A versatile and dazzling material, mesh ribbon can be used to easily add color, texture and dimension to your home decor, transforming pieces you already own into eye-catching art. You can also use it to easily change up your decor with the seasons by swapping out the existing ribbon with seasonal ribbon colors. Wrap a large wooden or cardboard monogram letter with mesh ribbon and use thumbtacks on the back to keep the ribbon in place. 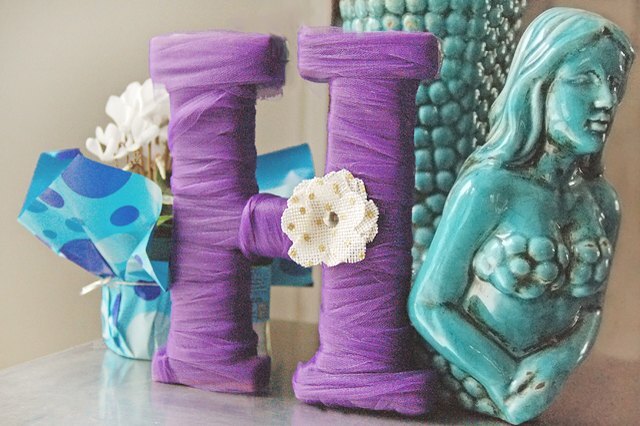 When you are ready to change the ribbon, simply remove the tacks and wrap the letter with your new ribbon. 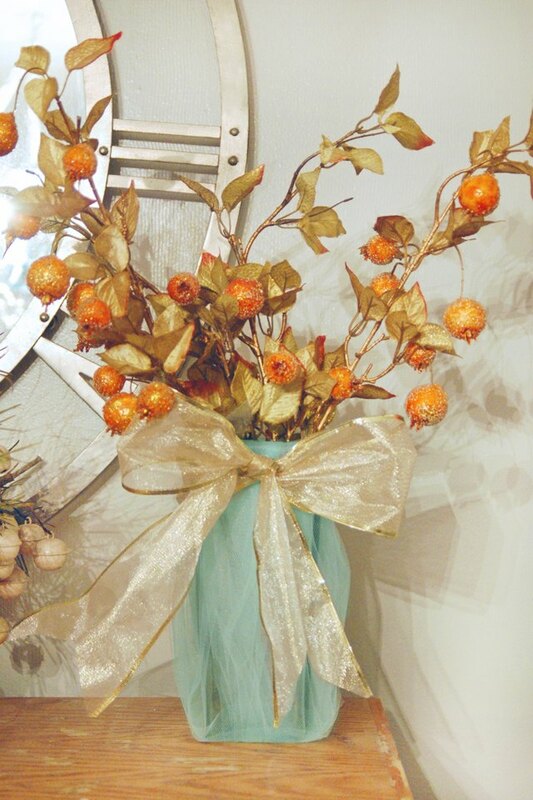 Add any extra fabric flowers or bows you have on hand with a thumbtack as well. Use scissors to cut mesh ribbon into long strips that are at least a few inches longer than the height of your vase. Place the strips of ribbon under the vase, bring them up around the vase and use a rubber band to secure the ribbon to the top of the vase. Tie a strip of mesh ribbon in an alternating color into a bow and attach it to the rubber band with a small string or thin jewelry wire. 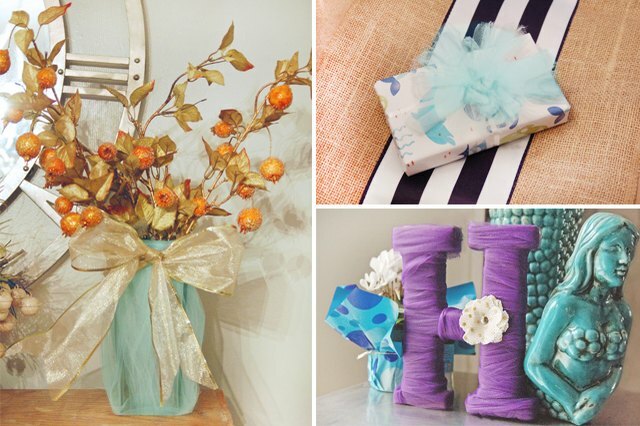 The bow will hide the rubber band and add extra color to your vase. Cut mesh ribbon of varying colors into 5-inch strips and tie them around a strand of string lights to create a whimsical and colorful garland. Hang the garland in a window, along a banister or mantel, or in your favorite outdoor space. Impress friends and family by handing them a gift with a dazzling pom pom bow on top. Cut several strips of 3-inch long mesh ribbon and tie them tightly together at the center with a piece of string. 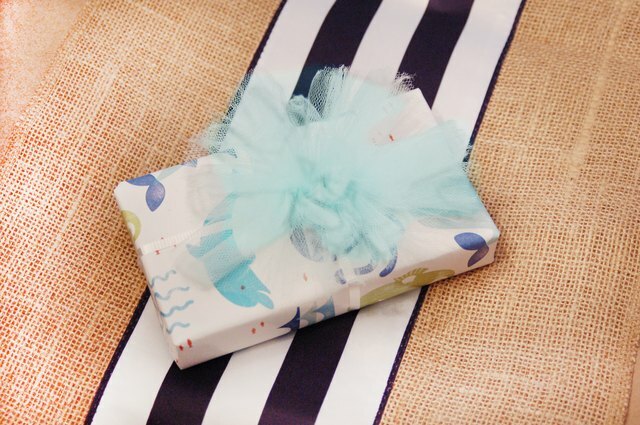 Fluff them out into your desired shape and attach them to your gift with ribbon. These pom pom bows can also be attached to frames, mirrors or any other piece of home decor that could use a bright punch of color.